Worst Best Picture: Is The Godfather Part II Better or Worse Than Crash? In “Worst Best Picture” we search every single Best Picture Oscar winner of all time from 1927 to present to uncover the worst of them all. Conventional wisdom says that 2005’s winner Crash is the worst winner in history. We won’t stop until we’ve tested every last one. Read the the first, our review of Crash, here. Posts will be relatively spoiler free, but there may be some details revealed. Today’s installment is the 1974 winner The Godfather Part II. Is it better than Crash? All the discussion of The Godfather Part II centers around a more difficult question than if it is better or worse than Crash. People want to compare it to the original, and the comparison makes me wish I were older to be able to give a first-hand answer about hype. It’s much easier to tell you how something was received if you, well, were alive to receive it. I don’t have that luxury, but what I do have is the perspective of history and the sole negative review for what many people consider to be the greatest movie ever made. There’s no way of knowing what people will like, and it can be alienating to hate something that everyone else loves. I imagine it must have been very difficult for Vincent Canby, the New York Times critic who hated The Godfather Part II. Apparently he was something of a curmudgeon, as the list of “movies he was critical of” could be a reasonable top 10 list for all-time great films. He’s also apparently one of the all-time greats in reviewing, something that I (clearly) don’t know much about. Canby criticizes the two stories of the sequel as not fitting together. He says that a movie shot to be dark on purpose is “so dark you wonder if these Mafia chiefs can’t afford to buy bigger light bulbs.” He criticizes Pacino for looking “glum” in his portrayal of one of the saddest men in film history facing the inevitability of a life he’s built and destroyed. I would say “glum” is a prerequisite. It’s a little unfair to take a movie review from 1974 and pick it apart. It’s the only review from this lion of the industry I’ve ever read, and I don’t excerpt it here to point out how stupid or wrong it is. I do so because it’s always interesting what time does to opinion. A huge, huge number of the 86 current Best Picture winners aren’t even remembered as good movies, much less the best of their era. When I’ve been doing this all year, people continually ask me what I thought of movies they think won Best Picture, only to be shocked that they aren’t on the list. This isn’t a list of the best movies of all time. It’s not even a list of the best movies each year. It works as a tool because it’s the same body of people (or at least, their contemporaries in different times) picking movies on the same criteria, supposedly. That’s precisely what the list offers us: historical perspective. In 1974 this was likely an unpopular opinion and in 2014 it is unheard of. He’d be labelled a troll now, a person baiting clicks by titling something with an outrageous title, like, say, “Worst Best Picture” or something equally odious. In all seriousness, I use this review in lieu of talking about The Godfather Part II because it’s not important that I sit here and tell you that one of the greatest achievements of acting, storytelling, and composition is incredible. It’s important that we consider that we are all capable of being wrong — so, so, so wrong — on a long enough timeline. Reviews are still a net positive, and this guy is no worse for being wrong, but that kind of thinking will explain things like The Artist, Braveheart, and Gladiator 50 years from now, when people wonder how we were ever so wrong. We were because we are human, and art hits us all differently. This is one you should see — dark light bulbs and all — for yourself. The odds are very low (but not impossible, apparently) that you’ll be disappointed. The Best Part: Pacino’s Michael Corleone, who is just trudging towards whatever is happening next. 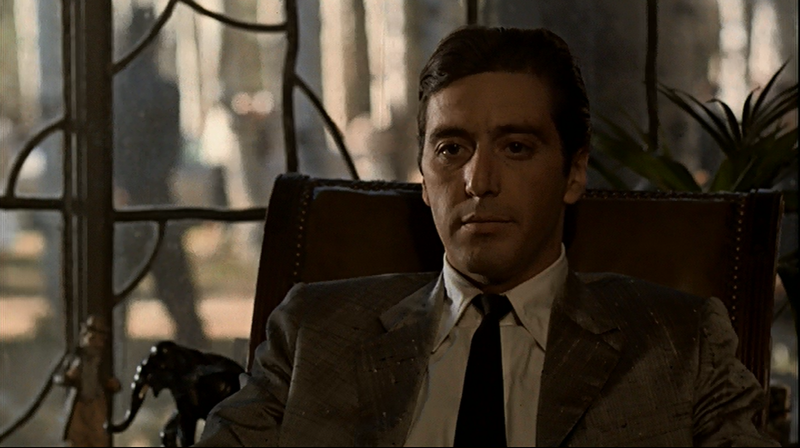 He’s the engine that drives everything, but The Godfather Part II is just as much about what the powerful can’t make happen as it is about what they can. The sadness engulfs him and he walks around both about to explode in anger and about to dissolve in resignation, and the result would be enough to carry a much, much lesser movie. The Worst Part: I really struggled to find something for this space. I love the structure of telling one story inside of another one, but I guess you could take issue with it. I don’t think there are problems with this movie, as much of a cop out as that may be. Is It Better or Worse than Crash? It’s very possibly the greatest movie on this list, even if it isn’t my favorite. If you disagree, that’s okay, but you no doubt still hold the achievement of The Godfather Part II in high esteem. If you don’t, well, I know a guy in 1974 that would love to have a drink with you. ← Worst Best Picture: Is Ben-Hur Better or Worse Than Crash?